A State Council document on Oct 26 will help accelerate and facilitate the healthy development of the express delivery industry. The policy is aimed at tackling such problems as rough development mode, undeveloped infrastructure facilities, hidden troubles in safety and weak international competitiveness of China’s express delivery. According to the document, the government plans to establish a safe and efficient delivery network that provides quality service to both urban and rural areas with advanced technology by 2020. The network will cover the whole country and connect with foreign countries. The State Council lays out four goals in detail. First, to promote the industry scale to a new level. With business volume reaching 50 billion pieces and total income of 800 billion yuan a year, the market for the industry will eventually top the world. Also, every town will have a branch, and every village will have access to delivery service by that time. Second, to help delivery enterprises get a big boost. Air transportation owned by delivery enterprises will be greatly enhanced, a batch of cargo terminals connecting home and abroad will be built, and key enterprises with international competitiveness will be cultivated. Third, to enhance service quality. Express items between major domestic cities will be delivered within 48 hours, and international service will cover more countries with higher speed. 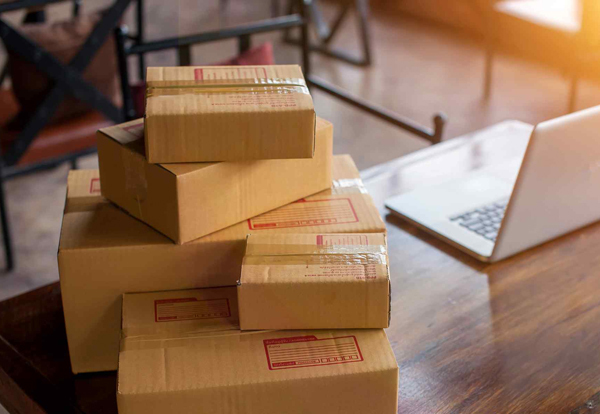 Fourth, by creating 200,000 new jobs annually, online transactions amounting to 10 trillion yuan and daily customers surpassing 270 million, the comprehensive benefits of express delivery will stand out. To achieve these goals, the document asks related departments to enhance policy support, encourage all sources of social capital to enter the industry, guide delivery enterprises to make full use of such technologies as cloud computing and big data, and strengthen safety supervision.